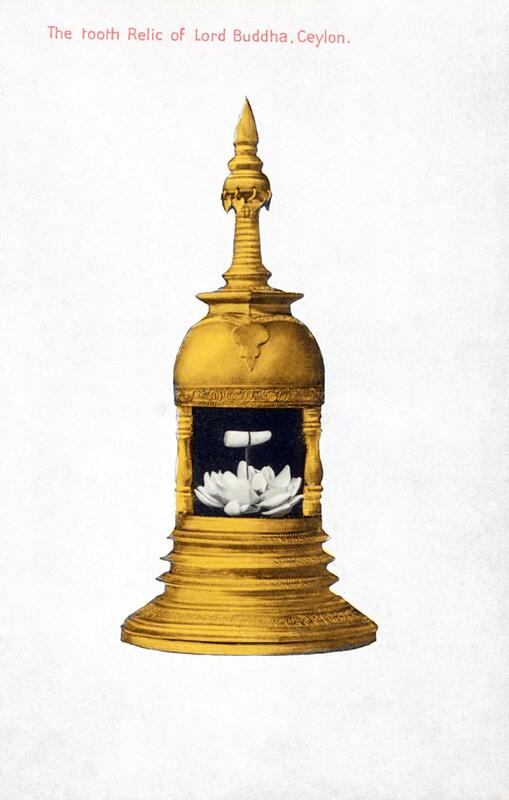 The Sacred Relic of the tooth of Buddha is venerated in Sri Lanka [Ceylon] as relic of Gautama Buddha, and is kept in a Temple of the Holy Tooth in Kandy. A stand-in has been paraded through town every year in an eight-day festival for the past 2,000 years at least. For a long time, possession of the relic was linked to the right to rule the island of Lanka. The unusual relief view of the container of the sacred relic represents the importance and veneration it was and is still given.